Creating friendships among geeks, worldwide. 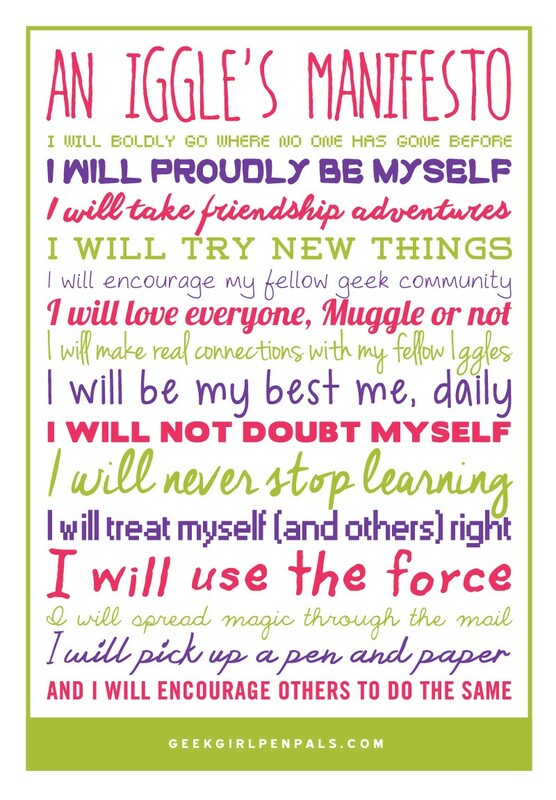 The International Geek Girl Pen Pals Club, also known as the IGGPPC, is a group of worldwide geeky friends. Founded in March 2013, the club was designed to bring together the nerd community through shared interests in all things geeky, a love of stationery, and an interest in making friends! Each month, we pair hundreds of geek girls and guys with their nerdy soul mates from across the globe, using their ‘Top 5 Geek Loves’ to find their perfect match. So far, we’ve paired 7,000+ very happy pen pals. We’re proud to know that many of our pen pals have found life-long friendships through the IGGPPC, and some have even traveled overseas to meet each other! Our website is pretty much full of awesome things to do, including Activities, Swaps, Challenges, Events, and discussion on our Forums! It is also home to our awesomeblog, +5 Charisma. The TL;DR version? Our club has brought together geeks of all ages, backgrounds, gender identifications, cultures, shapes, and sizes, to help them connect in traditional and non-traditional ways. We’re proud to be spreading positivity, friendship, and fostering a loving community online and offline. Join us, and help us to create friendships among geeks, worldwide. We believe that all geeks are created equal. We don’t vet people here, or make you take any kind of geeky examination to ensure you are geeky enough to join. We love you – exactly the way you are – and we want to encourage you to love yourself, and be yourself too! No matter what you geek out about or how much you geek out about it, all are welcome. We’re believers in body positivity, the power of knowledge, growing as well-rounded people, making the world a better place, being accepting of everyone, and most of all – making friends. Our manifesto might spell it out for you a bit better. It says “Girl” in the name of your club… are guys welcome? Yes indeedy – all are welcome! While this was originally designed for the demographic of women, and is a safe place for women, men have shown a respectful interest in the club and have joined up as well. In fact, people of all gender orientations, or those who choose not to identify are welcome too! Yay! ‘Top 5 Geek Loves’ you say? Yup! Your ‘Top 5 Geek Loves’ are how we match you with a pen pal, or how you might find a friend on the site! You can add them into your profile. An Iggle is a member of our Club. Yes you. You’re an Iggle. The brainunicorn of Stewie and Farquharson was founded and launched March 19, 2013, as a silly Curly Wurly induced idea and has since blossomed into a wonderful, creative community! Looking for a geeky pen pal? 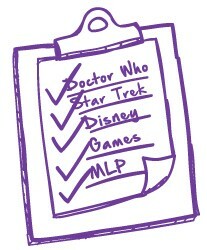 Look no further, give us your top 5 geek loves and we’ll match you with someone with similar interests! Rounds open on the 15th of every month. We’re so glad to have you! This will be your guide to all things Geek Girl Pen Pals and your reference for quick links as you learn to navigate our site. We’re kind of all over the place.